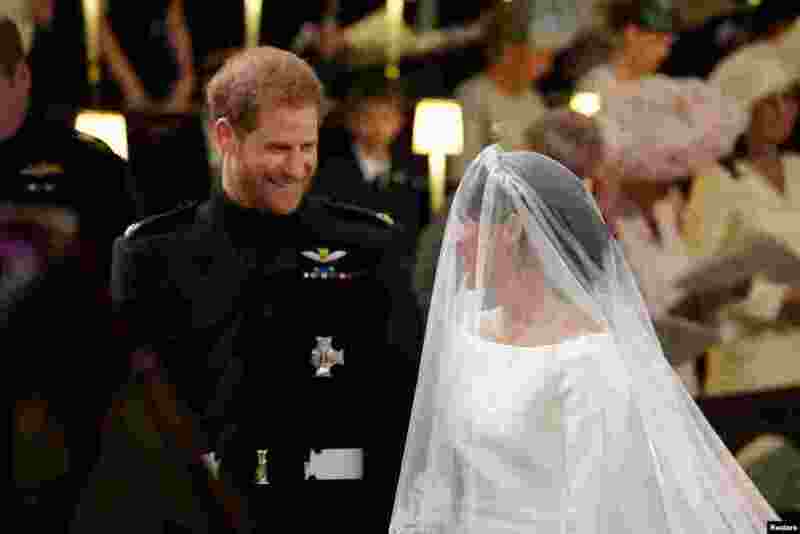 1 Prince Harry looks at his bride, Meghan Markle, as she arrives accompanied by the Prince of Wales in St George's Chapel at Windsor Castle for their wedding in Windsor, Britain, May 19, 2018. 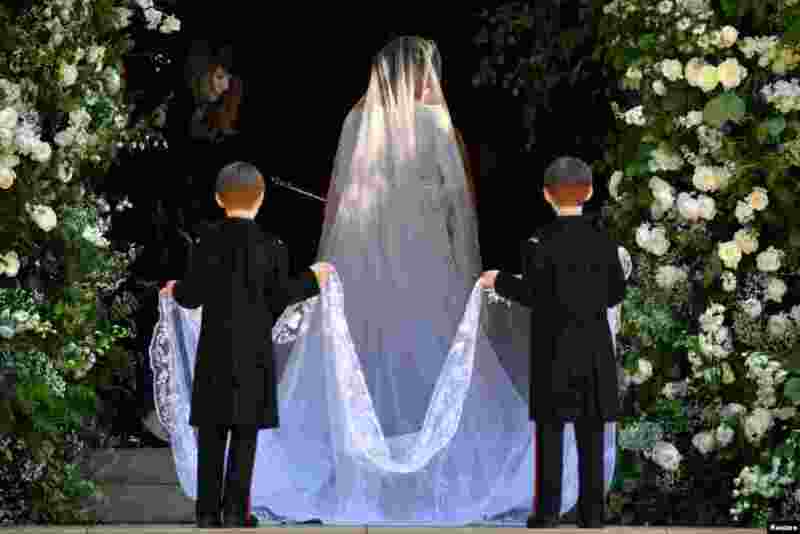 2 U.S. actress Meghan Markle arrives for the wedding ceremony to marry Britain's Prince Harry, Duke of Sussex, at St George's Chapel, Windsor Castle, in Windsor, Britain, May 19, 2018. 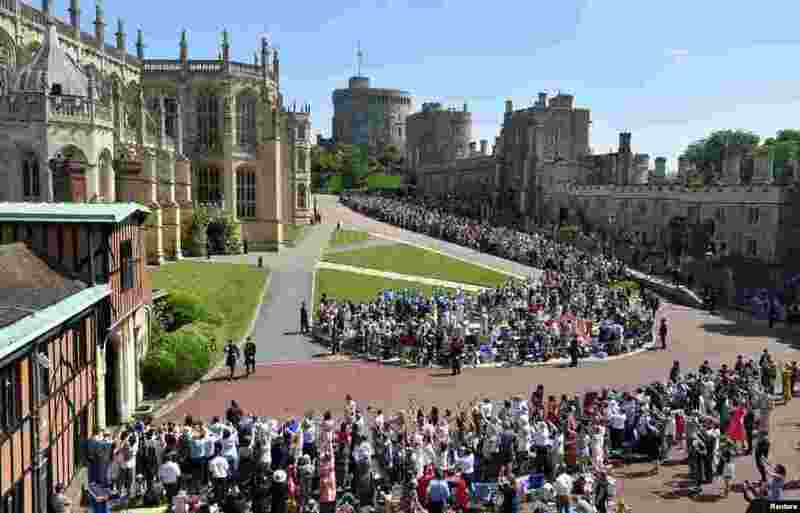 3 Britain's Prince Harry and Prince William arrive for the wedding ceremony of Prince Harry and Meghan Markle at St George's Chapel in Windsor Castle, Windsor, Britain, May 19, 2018. 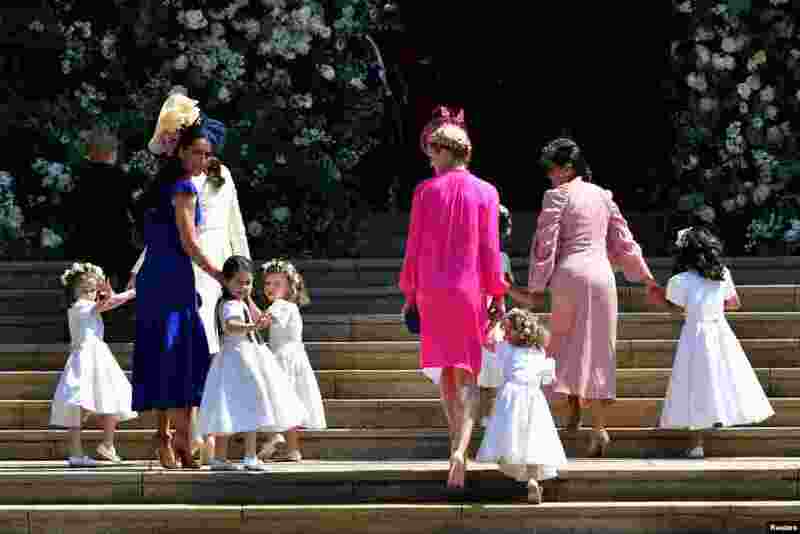 4 Britain's Catherine, Duchess of Cambridge and Meghan Markle's friend, Canadian fashion stylist Jessica Mulroney holds bridesmaids hands as they arrive for the wedding ceremony of Britain's Prince Harry, Duke of Sussex and U.S. actress Meghan Markle at St George's Chapel, Windsor Castle in Windsor, Britain, May 19, 2018.